Jo Public has a background in comedy acting, sketch and improv and has been performing stand up for 3 years. Her likeable, self-deprecating personality instantly comes across with a fun and energetic delivery that is lightly seasoned with hints of sarcasm. An impressive stage presence and great comic timing coupled with an array of excellent comedy voices and spot on accents make her performances shine. Major life events and feelings are made into some of the funniest songs you could wish for with clever lyrics and catchy tunes played on guitar. 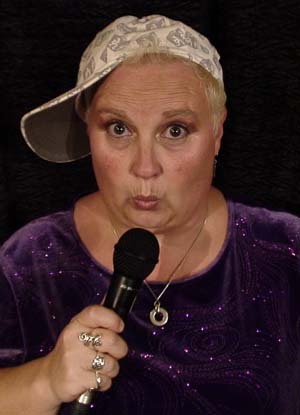 Jo also runs and MC’s her own monthly comedy club night, JOLLY COMEDY CLUB since Jan 2011.